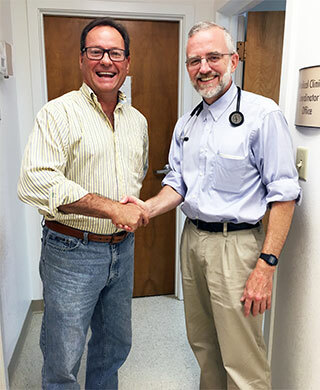 Our mission is to glorify Christ by providing quality, charitable health care to the working, uninsured in our area! In 1997, the mission committee of First Presbyterian Church, Bristol, TN read an article in Parade Magazine about the health care crisis in the United States. It stated that one million more Americans go without health insurance each year, and one way communities could help was to start a charitable clinic. The initial planning meeting for the health center was attended by one hundred people. The Healing Hands Health Center opened just eighteen months later. 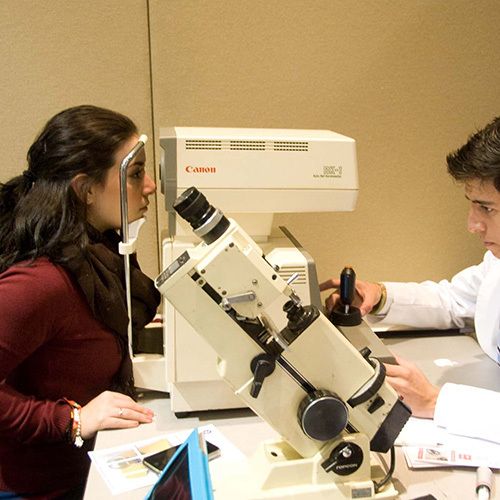 Healing Hands Health Center provides services for our working, uninsured neighbors: medical care and much needed medications; dental care including exams, x-rays, cleanings, extractions and fillings; chiropractic care; eye exams and eyeglasses; psychological and spiritual counseling services. 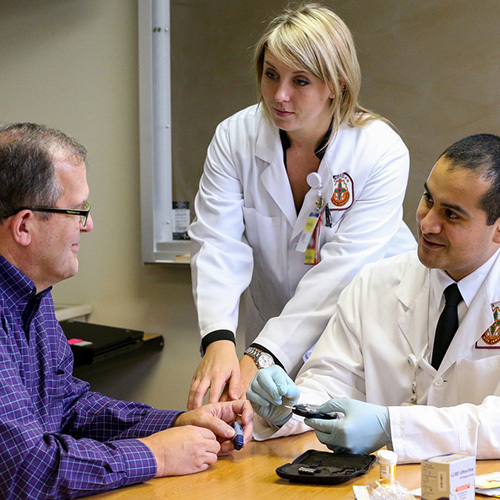 are needed to help the uninsured lead healthier lives. 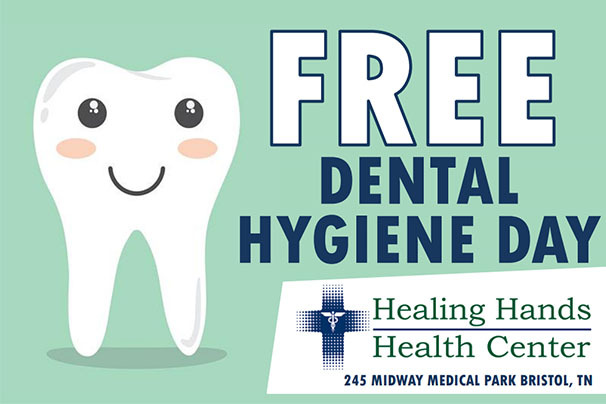 Healing Hands Health Center will host their 2nd Annual Free Dental Hygiene Day. 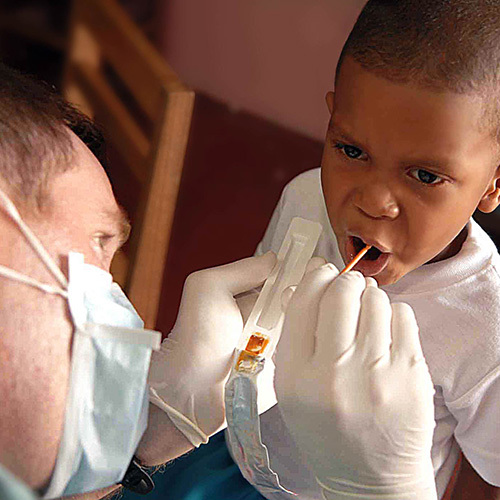 Free dental cleanings & oral hygiene education. Free dental kits & t-shirts as well! 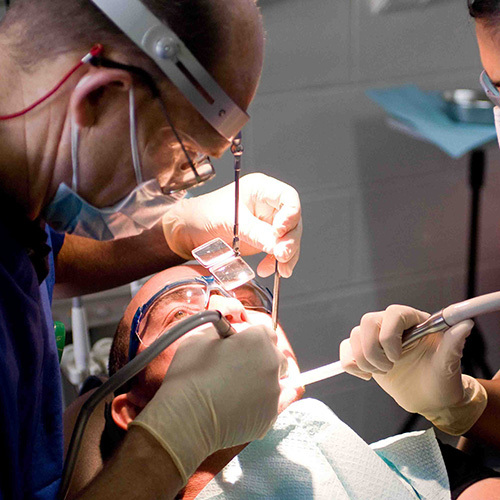 Appointments are for those who do not have dental insurance & are not already a healing hands patient. 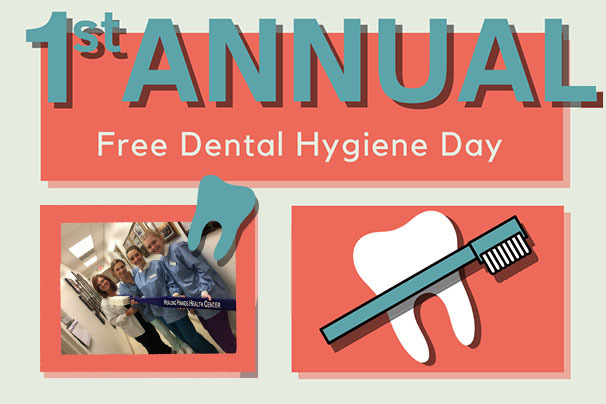 Healing Hands Health Center hosted its 1st Annual Free Dental Hygiene Day in partnership with the Wytheville Community College Hygiene Program. Fourteen volunteer dental hygiene students and their preceptor Elaine Smith, four University of Tennessee dental students, and our own Healing Hands dental staff served more than fifty patients on Friday, November 9, 2018. Healing Hands Health Center will be hosting a Free Dental Cleanings and Oral Hygiene Education on Friday, November 9, 2018 from 8:00 AM to 3:00 PM. Book an appointment today! Appointments are for those who do not have dental insurance & are not already a healing hands patient. 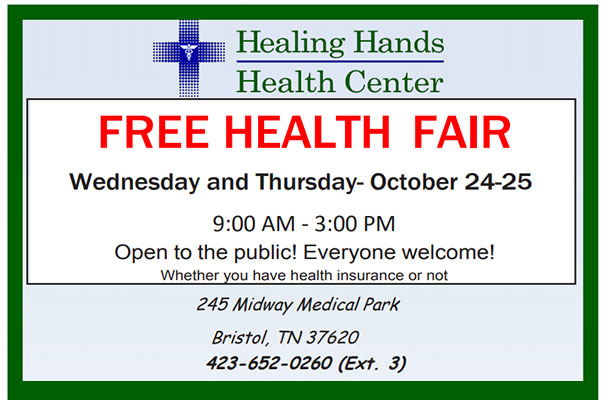 Healing Hands Health Center will be hosting a Free Health Fair on Wednesday and Thursday, October 24-25, from 9:00 AM to 3:00 PM. The event will be open to the public. Everyone is welcome, whether you have health insurance or not!